The game which had ended in a 1-1 draw by 90 minutes, however went into penalties. Zouma was able to net two spot kicks for Chelsea in the process, thus helping them to a 13-12 win. 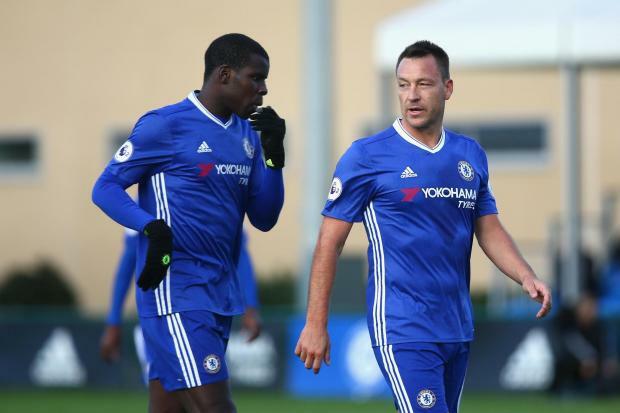 Viveash is of the belief that Zouma, who also plays in the capacity of a defender for the France national team, is now ready to get back into the action at the first team. This comes on the heels of the 22 year old part in playing amongst a three-man defence since a few weeks back, in order to get used to a new formation that has been greatly helping the first team since September. "I'd say he is ready to train with you [Conte], yes," Viveash said. "He has been a privilege to work with, he is a fine young player, he has been tremendous with the boys, he works very, very hard every day. "He has been really good and he gives good advice, but you have still got to remember that he is very young and he has now got to get into a defence that is performing excellently at the minute but what he does do is that he gives the manager another quality player and that, I imagine, is important for his squad."